After studing medieval and modern history at Birmingham University, Charlotte Zeepvat completed an MA thesis exploring the curious links between diplomacy, espionage and art collecting in the mid-seventeenth century. 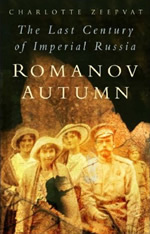 She then branched out into miniature painting and model making, and has contributed research to a number of programmes on television and radio and has also researched, planned and guided tours to places of royal interest in Russia and Germany. Charlotte’s writing career began with the first issue of Royalty Digest in 1991. 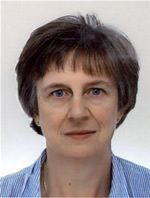 For fourteen years she was the journal’s principal contributor; she has also contributed articles to other publications. 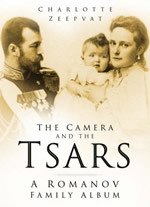 Her books include a biography of Prince Leopold, Duke of Albany, two books on the Russian imperial family, a photographic study of Queen Victoria’s descendants and, most recently, a study of British nannies and governesses. She is currently working on The Queen wore Lilac, an exploration of the varied costumes worn by royalty in the first century of the camera. 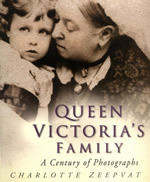 Royal photography is a special interest; Charlotte has a large collection of original photographs currently represented by the Illustrated London News Picture Library. Other interests include the literature of the First World War and the history of portraiture. I came to the agency on personal recommendation and the website confirmed my feeling that Andrew would be the right agent for me. 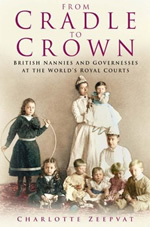 Queen Victoria’s Youngest Son by Charlotte Zeepvat is edging ever closer to the Amazon Top 100, and still available for just 99p. 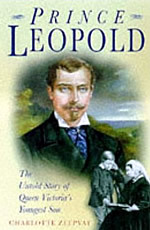 Charlotte Zeepvat’s fascinating biography Queen Victoria’s Youngest Son: The Untold Story of Prince Leopold, recently reissued by Thistle Publishing, has just moved into the Kindle top 20 for non-fiction.